The Turkish investigate team probing the murder of journalist Jamal Khashoggi found traces of hydrofluoric acid and other chemicals inside a well at Saudi Consul General Mohammed al-Otaibi’s house in Istanbul, according to a report by Al Jazeera. Turkey was initially denied permission to search the well at the consul’s residence. 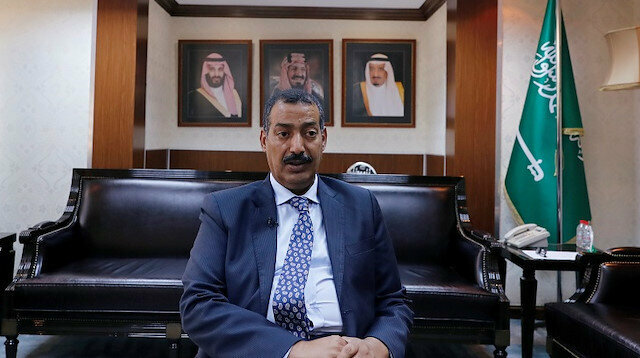 A source in the Turkish attorney general’s office conveyed that the killers vaporized the journalist’s dismembered body in acid in one of the rooms at Saudi consul’s residence, the report continued. Mohammad al-Otaibi left Turkey on a commercial flight on Oct .16 before his residence was searched by Turkish police on Oct. 17. Saudi Arabia has made a $1 billion bid for a broad partnership with South African state-owned defence group Denel that would include acquisition of a minority stake in a joint venture with Germany's Rheinmetall, a source familiar with the offer said.Currently heavily dependent on imports, Saudi Arabia, the world's third-largest defence spender, is seeking partnerships to develop its own domestic defence industry with the goal of localising half of its military spending by 2030.Saudi Arabian Military Industries (SAMI), the kingdom's state defence company, told Reuters last month that it was in discussions with all major South African firms and aimed to conclude the first deals by the end of this year.According to the source, who asked not to be named due to the sensitivity of the talks, Saudi Arabia was targeting Denel's 49 percent stake in Rheinmetall Denel Munition (RDM). 'Stronger opinion' on Khashoggi case next week: TrumpRDM is a South African-based joint venture formed in 2008 between Denel and Rheinmetall Waffe Munition GmbH, which holds the remaining 51 percent stake. It specialises in the development, design and manufacture of medium and large-calibre ammunition including artillery shells.A Rheinmetall spokesman declined to comment. The German government is currently reviewing all arms sales to Saudi Arabia after the killing of journalist Jamal Khashoggi in the Saudi consulate in Istanbul.Industry sources said RDM operates independently and is subject to South African law, which means exports from the unit are not subject to German government oversight. The sources said they did not expect that a change in the ownership of the venture would require a German government review.Under the Saudi offer, SAMI would also finance research and development in other Denel divisions including Denel Dynamics, which develops and produces tactical missiles and precision guided weapons.Saudis used Israeli spyware to track Khashoggi: SnowdenDenel and SAMI would share intellectual property and under a new joint venture would target defence export markets in the Middle East and North Africa.Finally, Saudi Arabia - already a top Denel customer for military vehicles, artillery munitions and radar equipment - would purchase a certain amount of the group's production. The Saudis expect an answer from the South African authorities by the end of December. "Saudi Arabia has made a unique business proposition to the South African government. As our discussions are not finalised yet we cannot provide any comment," SAMI CEO Andreas Schwer wrote in response to Reuters' questions. "RIPE FOR PARTNERSHIPS"South African President Cyril Ramaphosa last week said Denel was "ripe for joint-venture partnerships". But he added that the government had not yet weighed the Saudi bid or proposals from what he said were a number of other suitors looking to partner with Denel.Saudi ‘concentration camp’ amplifies suffering of Rohingya MuslimsA Denel spokesperson would not comment on any specific bid, saying that such negotiations take place on a state-to-state basis.Ramaphosa's spokeswoman Khusela Diko said the president would only make a decision on the Saudi offer to partner with Denel once it was discussed by cabinet. "No decision has been made yet," Diko told Reuters.The source with knowledge of the Saudi bid told Reuters that Rheinmetall informally approached Denel's board last year aiming to deepen its collaboration with the company.The source said Rheinmetall had, like Saudi Arabia, expressed interest in acquiring Denel's minority stake in RDM and other Denel divisions but was rebuffed.Saudi elites still detained year after roundup: reportRheinmetall declined to comment.Denel is grappling with an acute liquidity crunch and is struggling to pay salaries and deliver on roughly 18 billion rand ($1.29 billion) of outstanding orders.Following seven years of modest profits, the company said last week it had made an operating loss of 1.7 billion rand in the 2017/18 financial year.Sector observers say finding an equity partner is essential to Denel's survival.However, the interest in the company from Saudi Arabia, which is accused of committing abuses in the war in Yemen and has admitted responsibility for Khashoggi's death, has spawned public debate in South Africa.South African Foreign Minister Lindiwe Sisulu said last month human rights would be considered in any deliberations over a potential Saudi deal. Khashoggi, a Washington Post columnist and critic of Saudi Arabia's Crown Prince Mohammed bin Salman, was killed inside the Consulate of Saudi Arabia in Istanbul after he went there to obtain documents for his forthcoming marriage. The Saudi government initially insisted Khashoggi had left the consulate, later saying he died in an unplanned "rogue operation". On Oct. 25, the kingdom's public prosecutor Saud Al Mojeb said the attack was premeditated. Istanbul chief prosecutor Irfan Fidan in his turn said that Khashoggi was suffocated as soon as he entered the consulate, and his body then cut up and disposed of. Turkey has demanded cooperation from Saudi officials.